Vermont is famous for it’s maple. 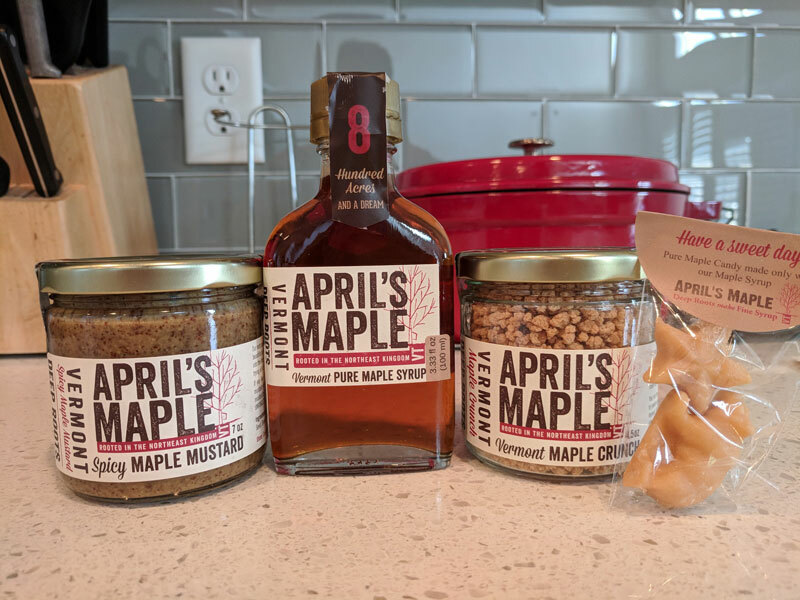 A great provider of maple products from Vermont is April’s Maple. I’ve been really enjoying the pure maple syrup. Just had some on some ebelskivers. Sooo good. The other maple products are tremendously delicious. The maple crunch is dangerously tasty. How sweet it is. Thanks April!